When I first came to France to teach English in 2009, I had been taking weekly French lessons for fun at the Alliance Francaise for about a year and a half before the big move. These were serious lessons, no English allowed. At that time, I’d say I had an intermediate level and could read, write, and (I thought) comprehend at an intermediate level. I was in for the shock of my life when I arrived in France and had to converse in real time with actual French people. I had a really, really hard time understanding spoken, spontaneous French outside the classroom. For anyone learning a foreign language, I’m here to tell you to forget all the grammar and writing exercises and listen up to what I have to say below. Comprehension needs to be your focus if you plan on spending any time in another country or conversing with native speakers. So why did I have a hard time understanding French people? Because I spent too much time working on other parts of language learning that ultimately wouldn’t matter very much when I was face-to-face with a real French person. The problem was that I wasn’t used to hearing fast, current French and the words were all jumbled together and unrecognizable to me about half the time. So I’d catch je vais but miss where the person was going, or I’d hear la piscine and know it was something about the pool but my ear couldn’t decipher between the garbled sound bite at the beginning of the sentence to figure out who was going swimming. I’d understand only portions of sentences and this went on for a while. Truth: For a good couple of months, I heard a collection of sounds that I couldn’t make any sense of and I’d sometimes ask people to quickly write what they were saying instead. After seeing it written, I’d understand once I saw the words. As you can imagine, it was a majorly frustrating time. What was my problem, I thought. I had studied French for a while — why wasn’t I understanding everything around me? Well, if you don’t make comprehension a priority, of course you’re going to struggle. And when I say comprehension practice, I don’t mean the little audio clips and exercises where an articulate French person speaks nice and slow in 100% proper French, no slang. Everyone in my class nailed those. We were geniuses with all the educational exercises. Taken those exercises, added in a ton of background noise to mimic a city street, sped up the tape so the person is talking a mile a minute, and then added in some slang. That would have been more realistic. I know someone out there is nodding along because they’ve been there or are there now… you’re not alone, OK? Before we move on, let me just clarify something. If you’re learning French for fun because it’s something you enjoy but don’t really have a need to speak it, then keep on doing what you’re doing. If you want to converse with French people on vacation in France or keep your mind active, totally cool. We’re all different, have different reasons for learning, and approach learning differently. You do what works for you. But if you’re learning French out of necessity and will be conversing (or hope to!) with native French speakers because you’re moving to a French-speaking country or something along those lines? Well, here’s my advice. Do everything in your power to focus on comprehension. Right now. Find native speakers to talk to. 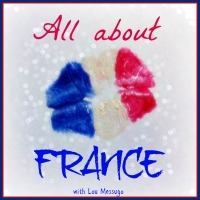 Listen to French TV and radio. Use the internet to your advantage and do whatever you can to improve your comprehension with people speaking “real” French. So no one gets the wrong idea, let me say it right here that grammar and pronunciation are both important. I’m not saying other elements of language learning aren’t essential. They are — but they will not matter in the moment if you can’t understand someone and can’t make yourself understood when it counts. One other clarification: If you’re a beginner, you need to learn the basics first before focusing on comprehension. You won’t understand anything if you don’t focus on learning the structure of the language first. 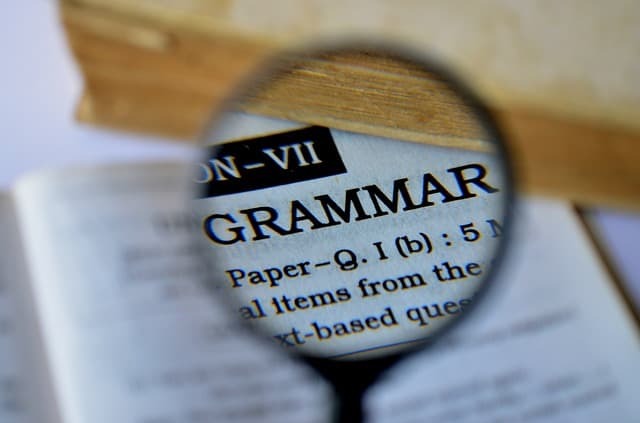 So if you’re just starting out, learn the basic grammar, expand your vocabulary and work your way up to an intermediate level before focusing on comprehension. Once you’re at an intermediate level and have moved beyond the basics of the language, spend twice as much time on comprehension. All the grammar practice in the world couldn’t have helped me because my comprehension skills were not up to speed. But I could write a great email! Let me put it a different way. Imagine speaking your native language to these two foreigners visiting your home country. I’ve made up two different hypothetical situations below. Background: You’re in a rush, already late for work and two tourists stop you in the street. Situation 1) Guy #1 approaches you, asks you a question about directions to a museum with a moderate accent, no mistakes, and you understood the question right away. You answer the question in regular-paced English and then ask him if he needs help finding the metro station. He looks at you blankly and asks you to repeat yourself but slower. You repeat what you said a little slower but he still has no clue. He says “metro?” and you repeat again but he just isn’t understanding. You both get frustrated, apologize and tell him you have to get to work before leaving. Situation 2) Guy #2 approaches you and asks you a question with a heavy accent. He used the wrong tense of the verb but you understood him fine like you did with the first guy, despite his mistake. You answer the question in regular-paced English and then ask him if he needs help finding the metro station to get there. He replies without missing a beat, albeit with a bunch of errors but you understood his reply and were glad to learn he already had a map and knew where the station was already. He said thanks and you continued on to work. He had no problem figuring out where he was going. Who would you rather talk to and be more at ease around when you’re in a rush? No offense to guy #1, but I’d rather talk to guy #2. The grammar, pronunciation and accent will be perfected later. He’s already able to understand and make himself understood. That’s all that matters in the moment. In an emergency situation, will it matter if you can conjugate every verb perfectly if you can’t understand the instructions from emergency personnel? That’s an extreme situation but it parallels everyday life. I know I am not the only one who was overly focused on everything BUT comprehension. Again, none of that matters when you’re face-to-face with a French person if you can’t understand what they’re asking you even after repeating it 3 times. Or you’re so focused on grammar and writing that you can’t formulate a coherent response. I realize that comprehension and grammar aren’t mutually exclusive. In a perfect world, we’d all be masters at everything. Of course you can have decent comprehension and grammar. It’s not one or the other. But usually there’s an imbalance somewhere with reading/writing/speaking/understanding and my point is to do as much as possible to improve your comprehension. Just my opinion based on my personal experience. Why are we so focused on grammar and pronunciation and everything BUT comprehension? Maybe it’s because we don’t have people to practice with when we’re not in a French-speaking country. Someone I follow on FB asked his fanbase what their biggest problem/hardship is with learning French and guess what the majority of people replied? To my surprise, it was NOT grammar or vocabulary or figuring out complicated conjugations. It was that they had no native speakers to practice comprehension and speaking with. Ohhh la la!!!!! (yes French people really say this but it’s not what you think). People want to learn and perfect their comprehension but they don’t have anyone to talk to! That made me sad. I have a very nice, friendly native French speaker right here next to me on the couch. Maybe I should auction off “Time With Tom” for a giveaway. Conversation practice! I think I’m half-joking? So what’s so great about having a good level of comprehension? Everything. Having a good level of comprehension and an ability to respond without skipping a beat can almost trick people into thinking your level is higher than it is. Even if you make grammar mistakes or have a big accent, it won’t matter if you can make sure you understand people most of the time and can reply to what’s being said to you. For me personally, my comprehension probably started to improve a few months after I arrived in France the first time. After hearing French around me. Listening to the radio in the morning while eating breakfast and making a deliberate effort to improve. I don’t think there was a lightbulb moment where French magically began to click. I also don’t remember the exact moment when I stopped translating and just started replying without having to think in English, but that shift happened and it will happen to you if you stick with it. Wherever you are now, know that language learning is a work in progress. It’s gradual and might sneak up on you. Even when you don’t think you’re learning, you are absorbing everything around you. Don’t fault yourself if you’re not where you want to be. We’re only human and need to give ourselves a pass. I tell myself that daily. Even now. I’m unnecessarily hard on myself sometimes and need little reminders that I’ve come a long way and should be proud. You can always up your comprehension game. You can always improve. And sometimes you’ll surprise yourself. Little victories, folks…. Ever have any language learning wakeup calls? 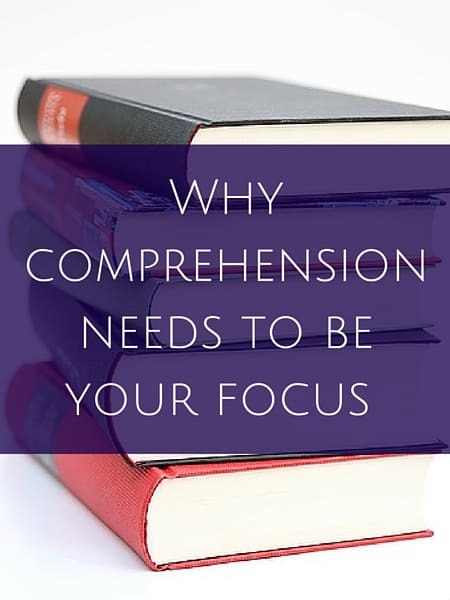 Did/do you put a focus on comprehension? The French have a saying: La meilleure façon d’apprendre une langue étrangère est sur l’oreillier–the best way to learn a foreign language is on the pillow. Not possible for everybody of course. Besides having a francophone husband, watching TV in French with French (NOT English) subtitles helped a lot. The subtitles help you untangle the syllables into words, words you sometimes don’t expect or don’t yet know. Also, don’t sweat the accent and mistakes because the French think they’re adorable. Yup, great advice. The French subtitles will be annoying at first especially if you aren’t used to them but over time they really help. 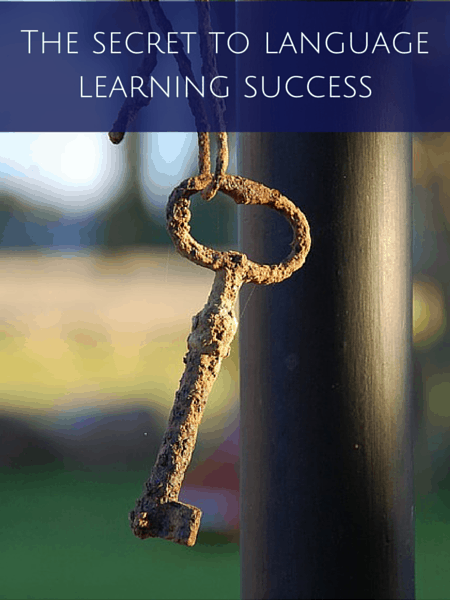 Language learners tend to focus on all the wrong things and once I realized how important comprehension was shortly after arriving the first time, I made it my focus and luckily improved. Now things are easier but oh man, I wanted to run and hide the first few months. Then before I moved back the 2nd time after getting married, I made sure to work on comprehension so I wouldn’t be lost all over again. Thx, as always, for taking the time to comment! Hi Diane, great article and I totally agree. All well and good to be able to thoroughly comprehend the subjunctive, but there are more useful things! I’m a non-native French speaker and I work at the reception of a French language school. Talking face to face with a French person with a pretty standard Parisian accent = no problems. 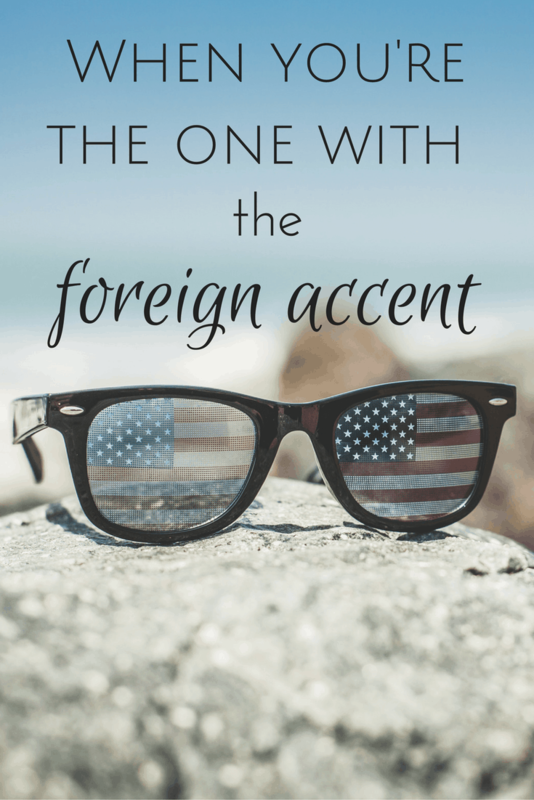 But talking on the phone with, say, someone from another part of France, or other francophone country with a different accent (like Canada – I’m ashamed to say that I can barely understand their accent! ), and it’s a different story. When I sat the DALF exams, one of the listening exercises was a Chinese man speaking broken French in a loud market place. It was very difficult but a pretty realistic exercise. 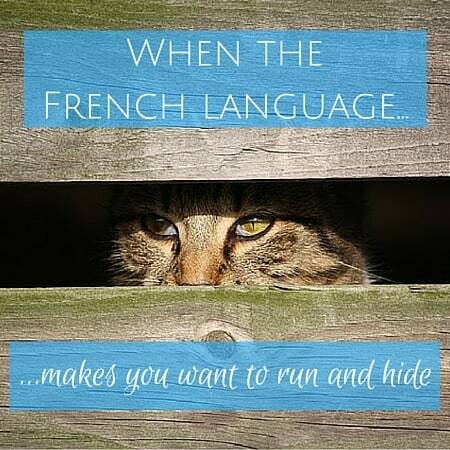 Speaking French in reality isn’t always going to be in perfect circumstances! Thank you for replying! 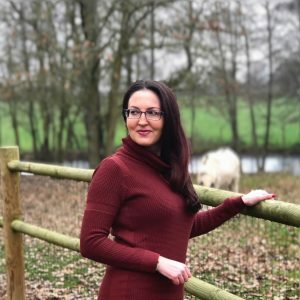 I was nervous at first – I’d had experience speaking French with my partner and his family but as you’d know it’s a completely different experience than communicating with strangers. My spoken, familiar French was strong before starting but I’ve definitely improved my professional French (especially emails – what a quagmire!). As I’m only one of two non-native speakers working there, I feel a lot of pressure to speak and understand perfectly which is stressful but to be expected I suppose. Where you live, is there a particular accent or are there words that are specific to the area? I feel like that’d be another bar to comprehension. Oh yea don’t even get me started with emails! There’s no typical Maine et Loire accent or anything that I know of, thank goodness! I was the same way! I studied French for a couple of years and thought I was pretty good, until I applied for a part time job at the French Consulate and couldn’t even understand the Vice Consul, especially when she mumbled and put her hand near her mouth. I wasn’t sure I had the job, but I just showed up like George Costanza on Seinfeld! LOL Luckily, they did hire me, but I felt so lost for the first couple of months. In about the third month, I finally started having small fluent conversations with people, and it was amazing! And, it only got better after that. Now I watch French news videos and movies to keep my ear tuned. It’s so easy to lose. When I lived in France for a few months, I got to where the TV sounded as easy as English to me and there was no translation lag in my head. But, now I have to concentrate on what they’re saying again, and I don’t catch all of it. Hi Mary, it’s crazy, right? You think you’re all good and then BAM in about 5 seconds you’re reduced to feeling like you just started yesterday. 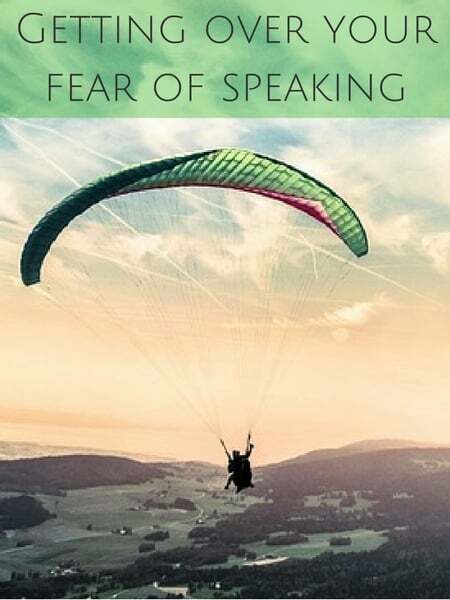 But it ebbs and flows and some days you’re feeling good and on top of the world and then the next people will be speaking what seems like gibberish. Glad you pushed through the initial months. Worth it! What a spot on article!! It hit on what has exactly been my major source of agony since I began my French studies years ago. I’m st intermediate level supposedly but random conversions send me into a tizzy! I’m embarrassed that I cannot understand most of what is being said to me yet! What good is a perfectly formulated sentence if i simply cannot understand the response? Or understand one snatches of words or phrases or words? (which is where I’m at now). This is a major hurdle I have to overcome and I have to really get serious and start to hear the language spoken as often as possible. There’s simply no other way as we do not live is France yet! Thank you for this wonderful post Diane. I live for the moment when I no longer have to translate!! Hi ! I actually learn English by myself for 2 years, but I have nobody to talk to, so… that’s hard ! lol ! I watch american TV shows (series) in English everyday, with or without English subtitles (it dépends if I understand the actors (some of them have a really strong acent), or if the subject is hard to understand (breaking bad for exemple because I don’t know anything about drugs, even in French lol)). Well… I’d like to know someone to talk to, but in my little little town, there is nobody lol ! bisous ! In what general area do you live, Agnes? 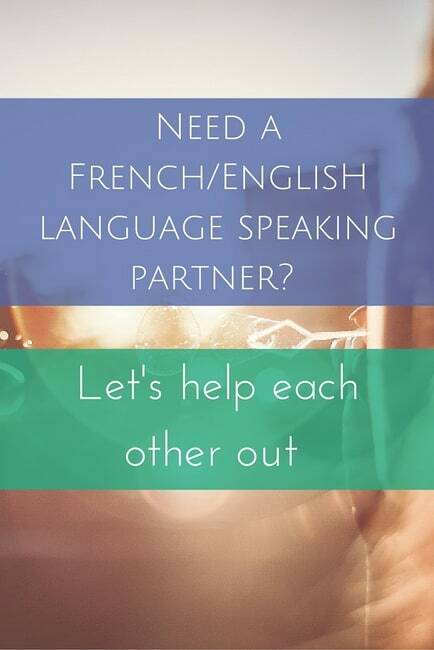 Maybe one of my other readers who wants to practice French can meet up with you virtually on Skype or something? Let me know if she doesn’t see this, Adrienne, and I will give you her email address. Or maybe do a whole post offering to set up people who want to do a language exchange. We’ll see. thank you! Hey Adrienne !! I’d love to !! Where are you gonna move to the US ? You’re in Saint-Etienne?? I’m in Lyon! I’m moving back to Minnesota though (one of the Midwestern ones way up north that borders Canada that people forget about haha). And thanks for doing that, Diane! Love the post idea too! I agree with you about comprehension. When I first moved to France and couldn’t speak a word of french, I did the lesson with my french teacher in a busy cafe for exactly that reason. It was so much harder to learn french with background noise, and with random conversations in french, english and Italian going on around me, but it helped my understanding enormously and I think made me able to communicate meaningfully much more quickly than if I had been sitting in a quiet classroom. Yup, I agree with you there. Although I’m sure it was stressful especially at first, learning in a real-world environment like a busy cafe was probably the best thing you could have done for comprehension! Strongly agree! I worked in Japan for a few years, and one of my colleagues was dying of embarrassment because he was making mistakes in his English grammar when we were talking. I said (a) ‘you are talking in English, when I should be speaking Japanese because it is your country; and (b) I can understand you. The goal of language is communicating and it is working’. I’ve repeated my own words to myself in France when I am dying of embarrassment because I can hardly string a sentence together, but I’m still getting around and doing stuff and gradually getting better. Practice makes perfect and you’ll get there! Yes, slang words and expressions are really common so training yourself to understand spoken French first and foremost is the most important! I can totally relate to working on comprehension. I tried to obtain French citizenship through my husband, but I really failed the test, because it was based on listening comprehension. There is something to be said for actually being in France, and context. Granted, I’m not fluent, and if I was, perhaps I would have done better; but sitting in a room in San Francisco and listening to a bad recording of various stories and then having to give the best answer in French felt so out of context! (Not to mention,I was not at my best, as I woke up at 4:00 am because I was so stressed about the test.) I feel like I really can do better when I’m face to face with people in France, in the actual situation. Ah well, perhaps I’ll try again when I’ve lived there for some time. I’m not even sure how important it is, anyway. I love the idea of setting up a language exchange! If Agnès ever wants to practice English with me, please let her know how to contact me. My husband is from Bourg-Argental, very close to Saint-Etienne. We’ll be there this year for sure, and hopefully moving to France for good, although it will be dans le Sud. Awww, don’t beat yourself up about failing the test. I know how stressful that sort of thing can be, and what you said is true, that it’ll be easier once you hear the language every day. Thanks for putting me in touch with Agnes! People might also want to know about http://www.mylanguageexchange.com. I’ve corresponded with my friend for almost 8 years now, and I’ve just met someone new from near Montpellier, where we’ll be moving. Great post. Indeed, until you try to hold a conversation in French outside the classroom you’ll most likely think your comprehension is much better than it is. French is more or less a hobby for me, a social outlet I enjoy for personal enrichment, so my level of anxiety is admittedly lower than it would be if I were learning out of necessity. That being said, I have two recommendations for finding people to practice speaking French with: Meetup and Internations. If you’re in the U.S., find a French conversation Meetup group. If you’re of the mind (like I was) that after a few classes you’ll be able to hold your own with native French speakers, you will IMMEDIATELY get cut down to size when you attend an event with a conversation group. It’s a very good reality check. However, I love the group I attend because there are francophones from all over the world, at all levels of proficiency. 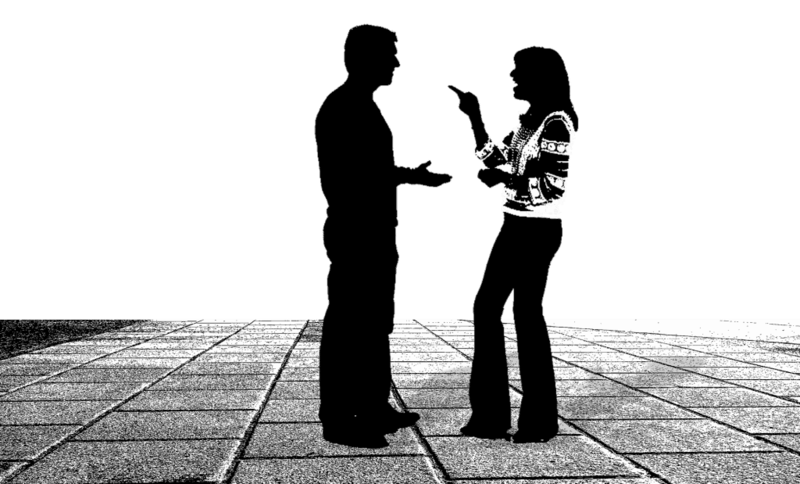 NOBODY cares how many mistakes you make or if you totally blank out during an exchange. Even the native French speakers there find it endearing, a sort of comedy hour interacting with a bunch of Americans and other *citoyens du monde* trying to speak French. After a couple hours *en francais* my brain is fried, but these events have been SO helpful. Non-native speakers speak a little slower, with a cadence that is a little easier to understand, so even when I was at level A2, I felt like I could still participate and at least interject from time to time. Now, at level B1, I can hold at least a halting conversation with most of the people at an event and I have zero self-consciousness about making mistakes because most of the people there are in the exact same boat. If you’re in France near a major city, join Internations which is an expat organization with chapters all over the world. I attended a couple of events in Nice recently and it was a similar experience to Meetup. Mostly expats attend with a few native speakers sprinkled in and it provides an opportunity to shamelessly butcher the French language, without pressure, while trying to socialize. Just getting your mouth used to forming the sounds correctly takes repetition. My whole face is tired by the end of the evening. Diane, in defense of the Alliance Francaise, the CD audio passages that come with the textbooks must have been refined/adapted since you attended classes. I’ve taken classes in Boston and NY (ongoing) and have several books with accompanying CDs at levels A2 and B1. They often simulate street cafes with traffic noise, other conversations in the background, different accents, a bit of slang etc. I never understand even the majority of a lengthy passage, but they are very helpful. I listen to each one a few times, then again with the dictation in front of me, then look up words I don’t recognize. If someone can get to the point to where they can understand those passages at level B1 the first time, much less B2, I imagine they’re going to be able to hold their own in France. Hi, glad to hear the CD quality is more geared toward real-life situations these days. I loved my classes at AF so it wasn’t a hit on them. It’s just hard to replicate real-life situations in a classroom and something that was a major wake-up call when I arrived here. In a classroom, I wasn’t too stressed but in real life when there’s another person there (one who doesn’t speak English) staring back at you, it all got very real very quickly for me. Anyway, thank you for your recommendations for people looking to practice French. Bonne continuation!